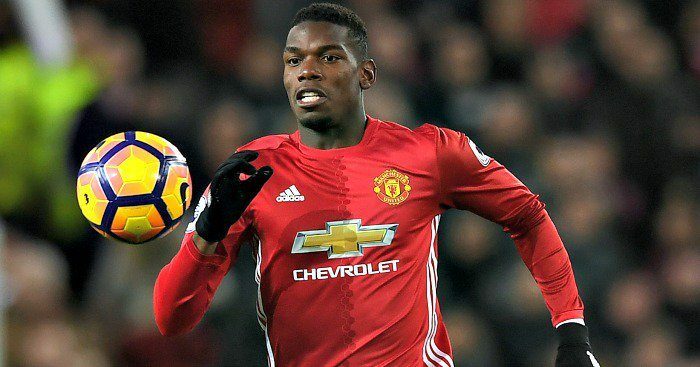 Ex-Brazilian attacking midfielder, Ronaldinho, has advised Manchester United star, Paul Pogba to ‘respect’ and ‘learn’ from manager, Jose Mourinho if he wants to win the Ballon d’ Or. Ronaldinho said the French international, who has had strained relationship with Mourinho since he returned to the Old Trafford club in 2016 in a club-record move from Juventus, can develop as a player under the United boss’ watch. The Barcelona legend, however, said the 25-year-old must respect his manager’s decisions. “He knows the substitutes’ bench, like me at Paris Saint-Germain with [former coach Luis] Fernandez,” Ronaldinho told Canal+. “It is not the same, when Mourinho tells you that you’re on the bench you have to respect that, the other guy, a little less. “I think Paul really has a lot to learn from Mourinho, who is one of the best coaches in the world. A coach who has won so many titles should be respected. He added, “He can win the Ballon d’Or, without a doubt. “I see Pogba as a friend, I don’t see myself as his idol. He is young, talented and he has the ability to play anywhere, he can play in a free role, defensive, as a runner or attacking. 0 Response to "‘You have to respect Mourinho to win Ballon d’Or’- Ronaldinho warns Pogba"